Organized religion played a major role in the settling of Illinois and continues to influence the culture of our region. We enjoy highlighting places of worship – and the good work they do – in each issue. The Fanklin Grove Church congregation has been committed to faithful ministry for more than 170 years and is a pillar in the local community. Franklin Grove residents looks forward to its annual pancake breakfast, from which proceeds are donated to local causes. In recent years, money raised from the event has been given to the local school system to assist children in need. Church members also host various events to reach out to community residents, such as movie nights and concerts such as Barbershop singers. The church was established in 1854 and originally located near Emmert Cemetery outside of town. It moved into Franklin Grove in 1910, and into the brick building it currently occupies, in 1927. 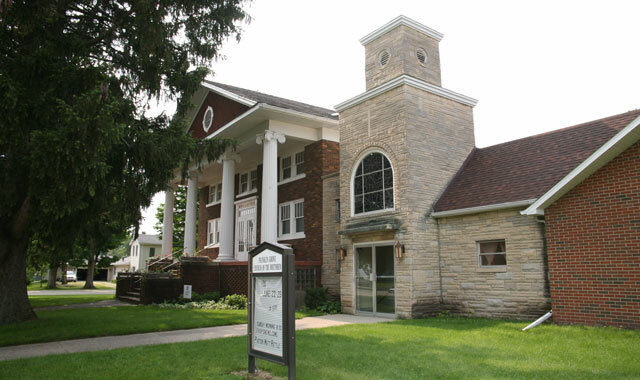 Franklin Grove Church of the Brethren is led by Pastor Matt Rittle, a licensed minister. Worship services are at 9:30 a.m. each Sunday, followed by Sunday School at 10:30 a.m. The congregation also hosts a movie night at 7 p.m. every third Wednesday at the church. 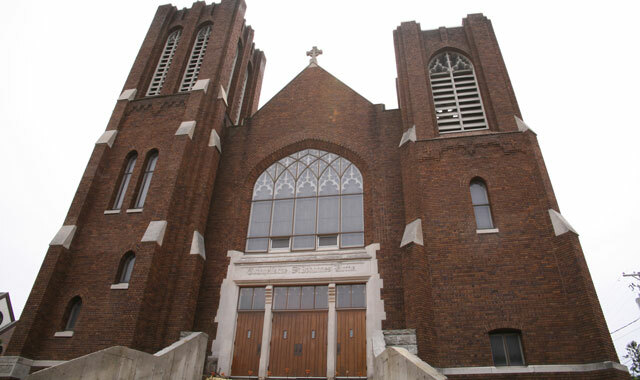 St. John’s United Church of Christ in Monroe, Wis., began with a dozen families who gathered for worship in August of 1862. Today there are roughly 1,500 members. The original church building, a little white frame structure, was dedicated on Aug. 31, 1862. It was built on the current church site for just $400. Today the church offers a wide range of programs that allow children to experience fellowship and Bible teachings in a fun and engaging atmosphere. There are adult ministries as well. The adult planning team provides programs that appeal to a variety of interests. There are opportunities for Bible study, small discussion groups, community service and fellowship. The church’s many musical groups devote hours of practice in preparation for Sunday services. Every worship service is made special by one of them. The congregation also supports missions that help needy people. Congregation members volunteer with Family Promise, which works with homeless and low-income families. They also provide pies for a bake sale at The Crossing, a campus ministry at the University of Wisconsin-Madison. The Rev. Todd Hackman has served as the senior pastor of the church since December, 2013. He came to St. John’s from Swiss United Church of Christ in New Glarus, Wis.
Worship services are at 9 a.m. each Sunday. This entry was posted on Thursday, September 8th, 2016 at 11:58 am	and is filed under Mind & Spirit. You can follow any responses to this entry through the RSS 2.0 feed. Both comments and pings are currently closed.